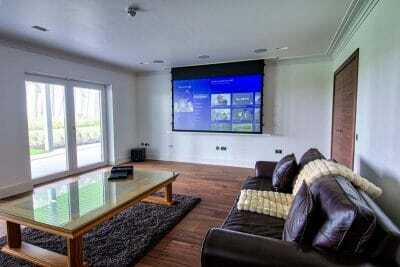 Where better to relax with family and friends than at home in front of your own dedicated cinema screen. Family movie nights, sports events and box set binging will be taken to the next level, all from the comfort of your living room sofa or custom designed home cinema seat. 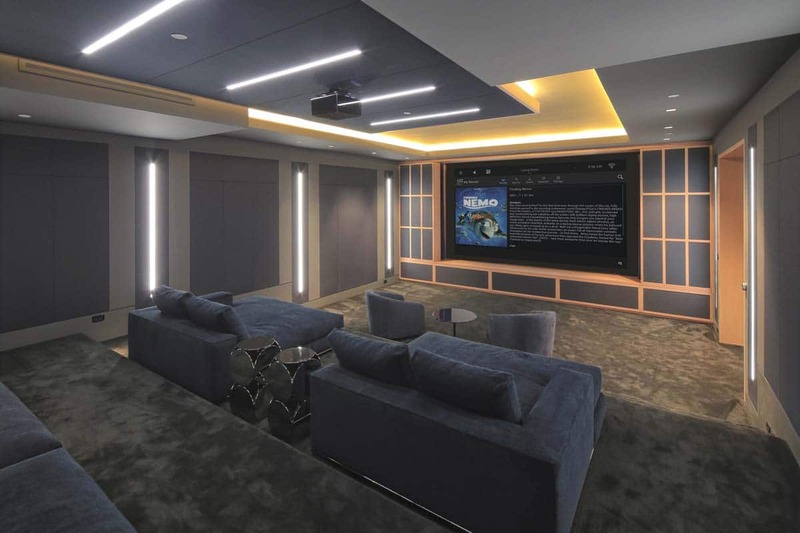 We can even set up your home cinema system so one touch of a remote control or a single voice command makes the lights dim, blinds close and latest blockbuster come to life in 8K with earth shattering Dolby Atmos surround sound. 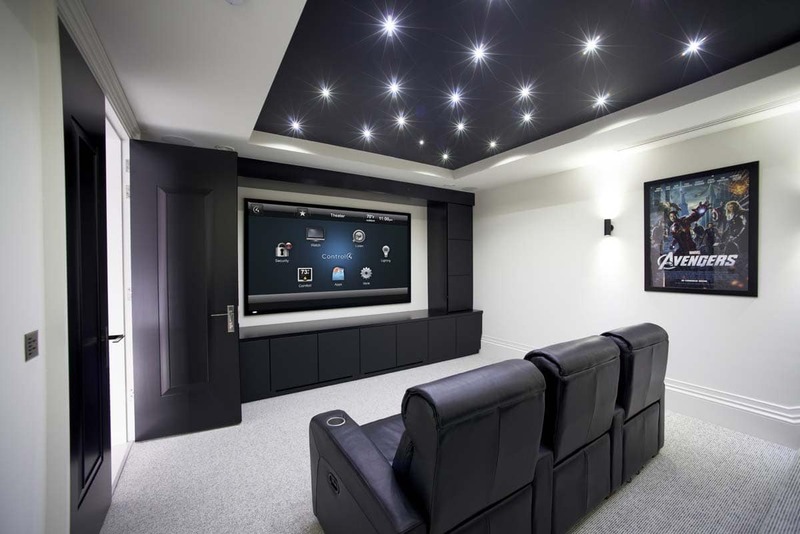 As Home Cinema Specialists we can assist with room design, equipment specification, system installation and programming, from a relatively simple living room Home Cinema or Media Room to a dedicated Home Theatre Room. 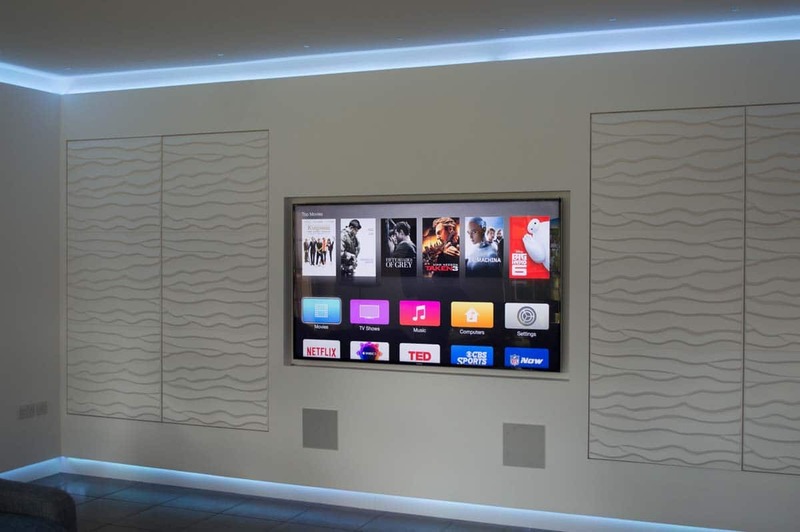 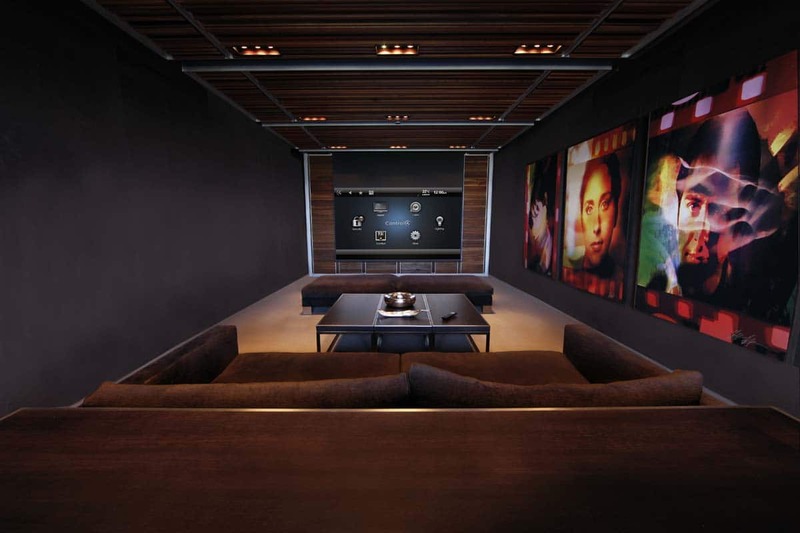 We have developed our home cinema solutions over the years to meet a variety of audio visual requirements, and we are always up to date with the latest products available in the UK from 8K short and long throw projectors and HDR television screens to in-ceiling speakers, invisible in-wall speakers and wired and wireless subwoofers.